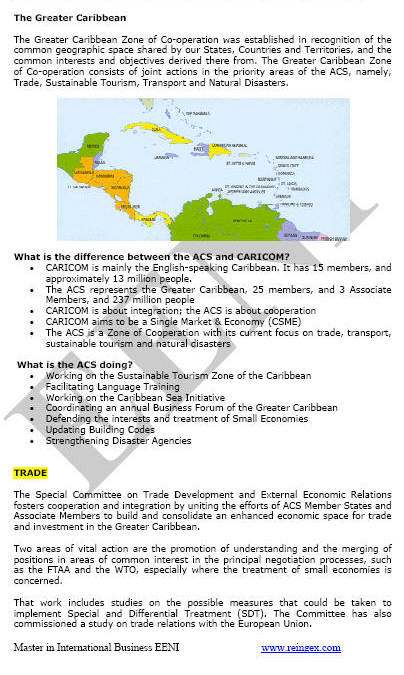 Syllabus of the Online Course (Subject): Association of Caribbean States (ACS). Learning materials in or Asociación de Estados del Caribe Association des États de la Caraïbe Associação dos Estados do Caribe. 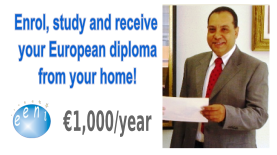 Description of the Online Course: Association of Caribbean States. The Association of Caribbean States (ACS) was created in 1994 in Cartagena de Indias (Republic of Colombia, America), with the objective of promoting consultation, cooperation and concerted action between all the Caribbean economies: Antigua and Barbuda, the Bahamas, Barbados, Belize, Colombia, Costa Rica, Cuba, Dominica, Dominican Republic, El Salvador, Grenada, Guatemala, Guyana, Haiti, Honduras, Jamaica, the United Mexican States, Nicaragua, Panama, Saint Kitts and Nevis, Saint Lucia, Saint Vincent and the Grenadines, Suriname, Trinidad and Tobago, and Venezuela. All the Association of Caribbean States (ACS) countries, except Suriname, are Christian countries. The Association of Caribbean States (ACS) is part of Latin American and the Caribbean economic areas of Western Christian Civilisation.